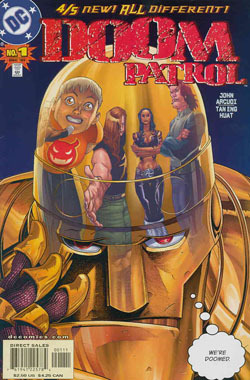 After the Vertigo series, Doom Patrol was relaunched in 2001 as a more straight-forward hero book. Well, straight-forward … for Doom Patrol, that is. The series was still very quirky and I was glad to see that it didn’t completely ignore what happened before. 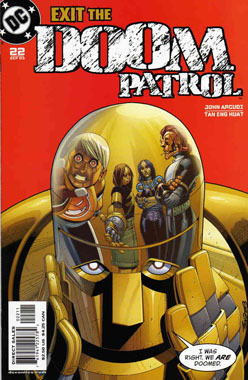 The last issue of this series swiped the first issue’s design. That second photo would make a lovely postcard or card. I like the technique you used on it–photos of it would sell well in a country store!Both barns have character and seem comfortable with themselves if that makes any sense.